21) Luke 16:23 with I Corinthians 15:55: (Changed “grave” and “Hell” to “Hades”). Why does your Bible support the Jehovah’s Witnesses’ doctrine? There is no distinction of Hell with the grave. When “Hades” is used in Luke 16:23 and Revelation 20:13, Jehovah’s Witnesses say that a person does not burn in Hell, but are just in “Hades,” which can mean “the grave.” Jehovah’s Witnesses use these interpretations, which is supported by their bible! 22) Romans 1:24-32: (Changed verse 25 “changed the truth” to “exchange the truth”). Why does your Bible damage the lives of people?! If God only damages and judges those who exchange the truth, then this means that those who change the truth into a lie are all right. Your Bible will be responsible for causing many people, who changed the truth into a lie, to be damaged and judged by God. 23) Revelation 13:16: (Changed “mark in his forehead” to “mark on his forehead”). Why is your Bible going to be responsible for sending many people to Hell?! There was one TV pastor who said that to not worry about receiving the computer chip #666 in your forehead or right hand as long as it does not go on the forehead or right hand. This will cause many people to burn in Hell as a result (Rev. 14:11). 24) Mark 16: (Subtracted or doubted nearly all of the chapter). Why does your Bible remove nearly all of God’s verses in this chapter?! There are a lot of verses that you can learn from this chapter. 25) John 7:53—John 8:11: (Subtracted or doubted). 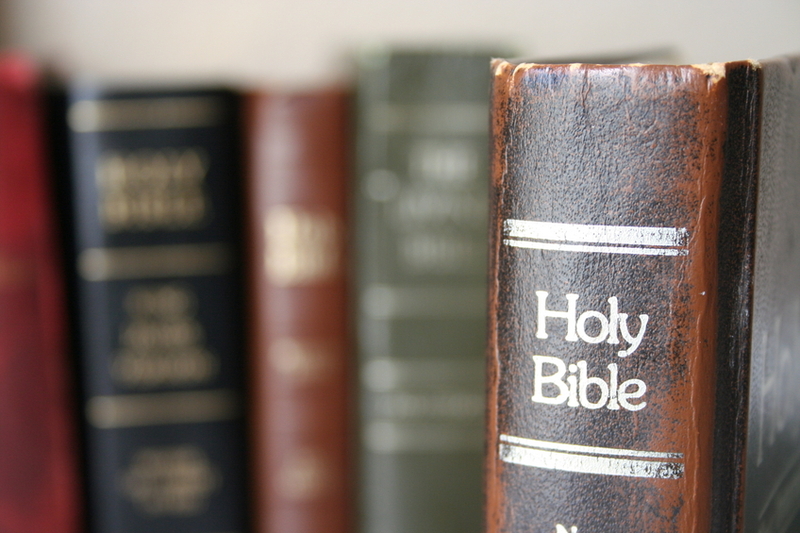 Why does your Bible remove many of God’s verses in two chapters?! There are a lot of verses that you can learn from this chapter. 26) Isaiah 14:12: (Changed “Lucifer” to “morning star”). Why does your Bible say Satan is Jesus?! Revelation 22:16 says that Jesus is the morning star. Satan must be in charge of your Bible, since he wants to equate himself with God (Is. 14: 12-14). 27) Acts 28:29: (subtracted or doubted). Why does your Bible subtract a whole verse from God?! How can you learn that the Jews were discussing about Paul’s gospel when this verse is gone? 28) Hebrews 10:34: (changed “spoiling of your goods” to “robbery of your goods”). Why does your Bible promote robbery?! God commanded to not steal (Ex. 20:15). 29) 2 Timothy 3:16: (changed “All scripture” to “every Writing”). Why does your Bible consider any “Writing” as inspired of God?! This means an inspired “Writing” of God could refer to anything, like a Harry Potter book. Whenever “scripture” is used, it always refers to the Bible, not to “Writing” (Mk. 12:10; 15:28; Lu. 4:21; Jn. 19:24; Ac. 8:32-35). 31) 1 Thessalonians 5:22: (changed “all appearances of evil” to “form of evil”). Why does your Bible help sin to take advantage? Christians may abstain from forms of evil, but when they abstain from something that appears to be evil, they will save themselves from a lot of trouble. This is the only verse that can declare to abstain from anything that appears to be evil, but the modern bible completely erases it away. This bible is going to be responsible for many Christians to fall into sin. New International Version: corrupted verses in numbers 22, 24-27. New American Standard Version: corrupted verse in number 22. New Revised Standard Version: corrupted verses in numbers 22, 27. Living Bible: corrupted verses in numbers 22, 27. Goodspeed: corrupted verse in number 27. Philips: corrupted verse in number 27. Moffatts: corrupted verse in number 27. Revised Standard Version 1946: corrupted verse in number 27. Revised Version 1881: corrupted verse in number 27. Youngs: corrupted verses in numbers 28, 29. English Standard: corrupted verse in number 27. Amplified Version: corrupted verse in number 27. Contemporary English Version: corrupted verse in number 27. New King James Version: corrupted verses in number 21-23, 30, 31. New American Bible: corrupted verse in number 27. New English Bible: corrupted verse in number 27. New World Translation: corrupted verses in numbers 21-22, 24-25, 27.